If you ask me what software you absolutely must have on your PC, my answer will be dead simple – recovery software. Most people ignore making backups until it’s too late and they lose their data. That’s when they start looking for any way to get their files back. EaseUS Data Recovery Wizard Free is a recovery app for Windows that I strongly recommend. Let’s have a look at what it has to offer. EaseUS Data Recovery Wizard is a free app that can handle all kinds of data recovery tasks. It’s very intuitive, offers various recovery options, and best of all – it’s free. The free edition of this recovery software can recover up to 2GB of data, which is enough for basic file recovery on a home computer. If you need to recovery larger amounts of data and want additional options, check out the premium editions of EaseUS Data Recovery. Even though we’re talking about a free version of a premium data recovery program, it has pretty much all the features you need to restore lost data. It can recover files that got deleted or corrupted because of various circumstances and not just accidentally deleted files. You can use it to recover data from internal and external hard drives, removable media, and SD cards. Basically, if a device gets assigned a drive letter, EaseUS can handle the recovery. The app offers two scan modes – quick scan, which should work for basic file recovery, and deep scan which analyzes your disk more thoroughly and can recover more files. Another handy feature that I like is an option to save scan results so that you can import/export them whenever you want. That’s a great time-saving feature. EaseUS Data Recovery Wizard Free is one of the most intuitive and user-friendly Windows apps I’ve ever tested. It has a very clean interface and is very easy to use even if you’ve never tried recovery software before. All you need to do is follow the program’s prompts and it will do the rest. 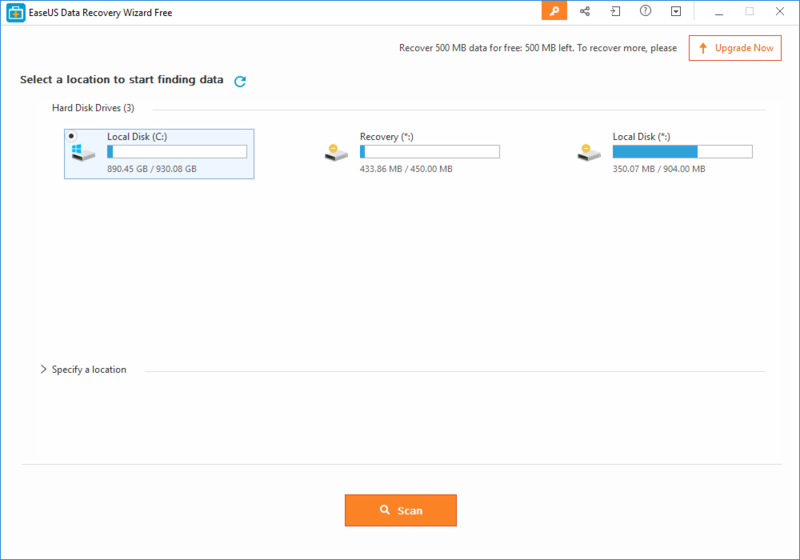 EaseUS Data Recovery Wizard Free is a very easy to use and efficient file recovery program that I strongly recommend adding to your software collection.